According to the principles of wise charity the Happy Child Foundation expands the family placement program. And in order to do that we need your help! Dear friends! 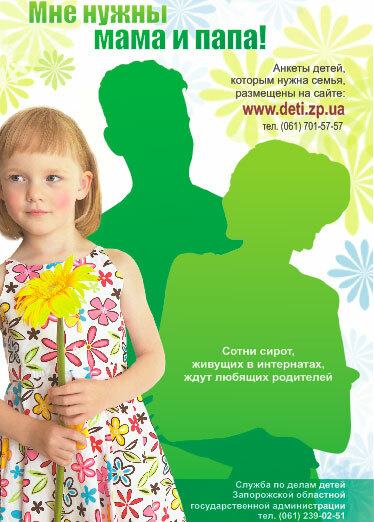 From the time when our website www.deti.zp.ua was created in April 2004 helping orphaned children was one of our priorities. At first we provided charity support to children's homes and orphanages, but gradually the emphasis changed towards family placement of orphans and prevention of orphancy. After all, a close-knit family is a place where a child feels comfortable and can grow and progress. Since the year 2007 we have been putting personal information forms of the orphaned children on our website. 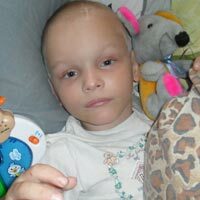 This gives our readers a chance to see a real child, not just find out about tens of thousands of abstract orphans living in Ukraine. Many of these children have already found families due to these publications. Besides, thanks to our benefactors' support, we've built a Happy Home for 9 orphaned children with special needs in Kalinovka. In this home the children are living in a family-like environment. We have a lot of plans on the further development of the family placement program, but in order to implement them we need additional resources. First of all our foundation needs to hire an employee who would manage this program. At present we have one team member working on this program two days a week. A person working full-time could help many more orphans to find their families and support the existing foster homes. There are now personal information forms of only 8% of the orphans of our region on our website. We set ourselves a mission to write articles and publish photos/videos of the majority of the kids in need of family placement. To do that we need resources – both human (writing articles, taking photos and making videos) and financial (paying for transportation). We would like to help to improve housing conditions of those adoptive families that have proved their professionalism and love towards children, and that are willing to take in more children. We would like to arrange more seminars and events in support of adoptive parents, for it is not a secret that raising adopted children is a great challenge. The absence of proper support of the parents can result in emotional burnout. 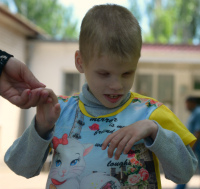 We would like to keep on developing and implementing the alternative ways of taking care of the orphaned children, especially those with special needs. We are currently working on the construction of the Happy Home #2 in Kalinovka and the Children's Village for adoptive families in Ukrainka. All this work requires constant efforts of a qualified professional. We have already found a fitting candidate for this position – a social worker with great amount of experience in working with adoptive families. What we need now is the help in paying his salary. 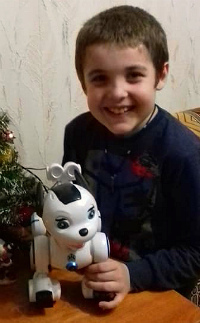 We are addressing everyone who cares about 1,200 orphans still living in the orphanages of the Zaporozhye region. 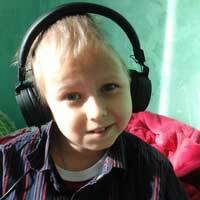 Your financial support can change the lives of many children for the better! Let us not only give the orphans presents for Christmas, but also help them find families! 1. Making personal information forms of the orphans, including photos and videos. 2. Helping to improve housing conditions of the family-type children's homes, cooperating with the Rinat Akhmetov foundation. 3. Cooperating with the http://sirotstvy.net website on the information forms of the children from our region (updating photos and videos basing on our data). 4. Selecting families for the children's village. 5. Preventing orphancy and children's abandonment. 6. Preventing placement of children without an orphan status into orphanages. 7. Organizing theme meetings of the foster parents, adoptive parents and guardians - “Parents' club” and the club of mutual support. 8. Organizing the qualification courses for the staff of the orphanages, including those who work with children with special needs. 9. Working with the heads of the orphanages, searching for the ways of reforming them (e.g. turning them into social dormitories and housing for graduates). 10. Placing social advertisements in employment agencies, hospitals, clinics, maternity clinics, schools, nursery schools, factories – implementing!!! 11. 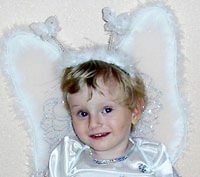 Helping families with children with special needs. 12. Training the workers of the children's services offices. 13. Providing social workers and adoptive parents with necessary books, films. 14. Public campaigns on the promotion of family placement. 15. Working with national and international organizations towards reforming orphanages and developing the family-type children's homes. 16. Organizing a resource center for adoptive parents (useful literature, movies, audio-books, interviews with professionals, recommendations, legal counselling). 17. Publishing interviews with adoptive parents on the website. Pages on certain families. 18. 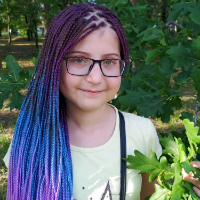 Communicating with orphans through participation in charity projects. 19. Running a hotline on family placement of orphans. 20. Arranging seminars and experience exchange for adoptive parents (psychology). Any monthly help for paying the salary of the new worker will be greatly appreciated! 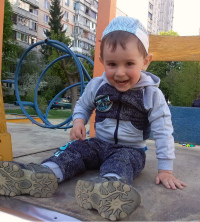 Help us continue our professional work on family placement of Zaporozhye orphans!